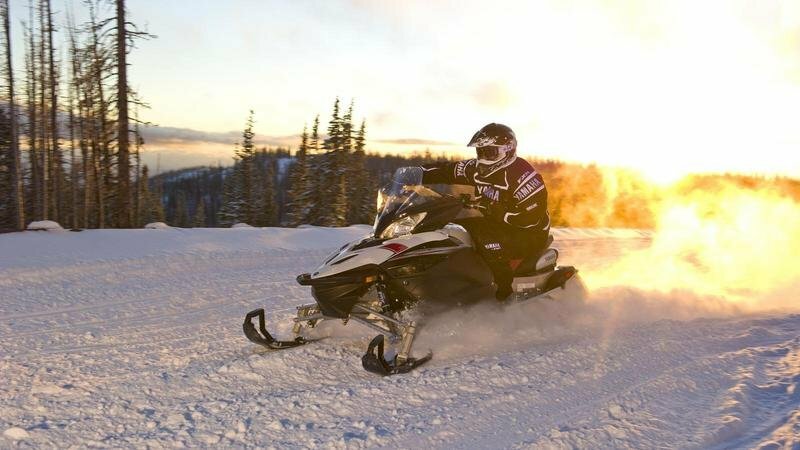 The Yamaha Apex SE is a comfortable and luxury snowmobile built to deal effortless with snowy tracks. 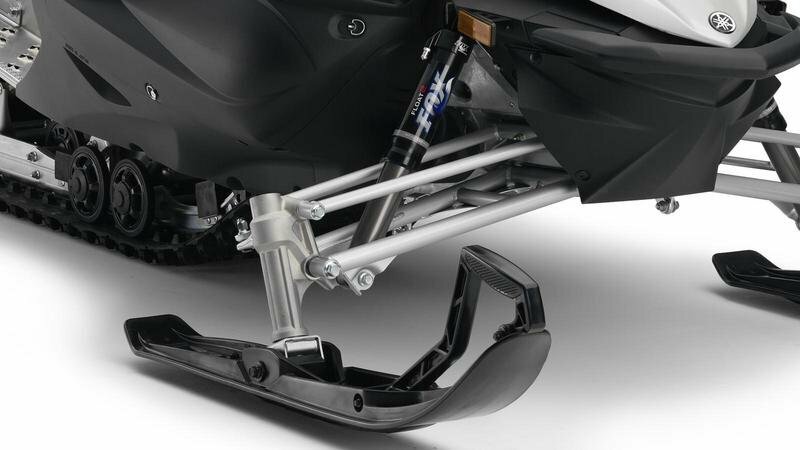 In its freezing adventures , the 2013 Yamaha Apex SE is helped by a strong Genesis 4 stroke Top Performance engine which features fuel injection and Yamaha’s unique EXUP (Exhaust Ultimate Power Valve) technology that improves the torque characteristics in the low and mid RPM ranges. 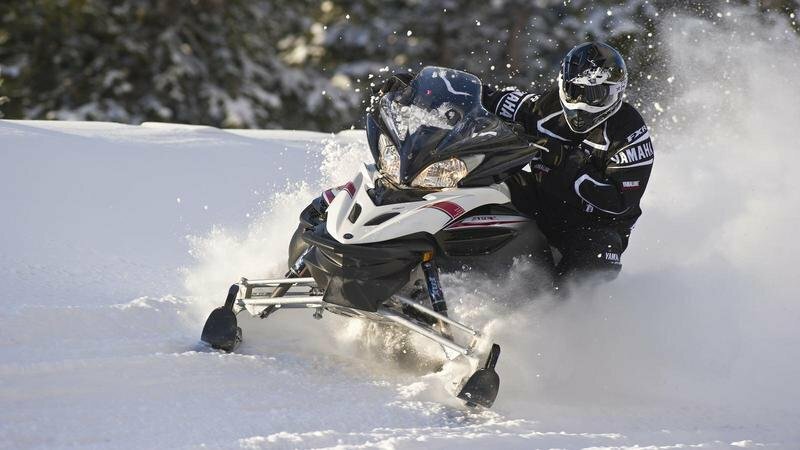 Apart from its strong engine, the 2013 Yamaha Apex SE is also fitted with a full air suspension and EPS (Electric Power Steering) which help it deal effortless with any type of track and snow. 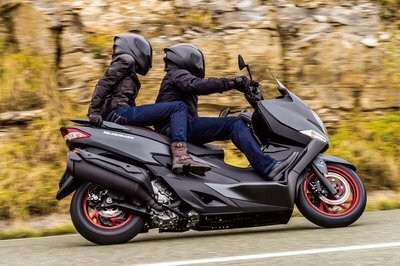 The 2013 Yamaha Apex SE is built on a lightweight frame constructed from varying types of aluminum. 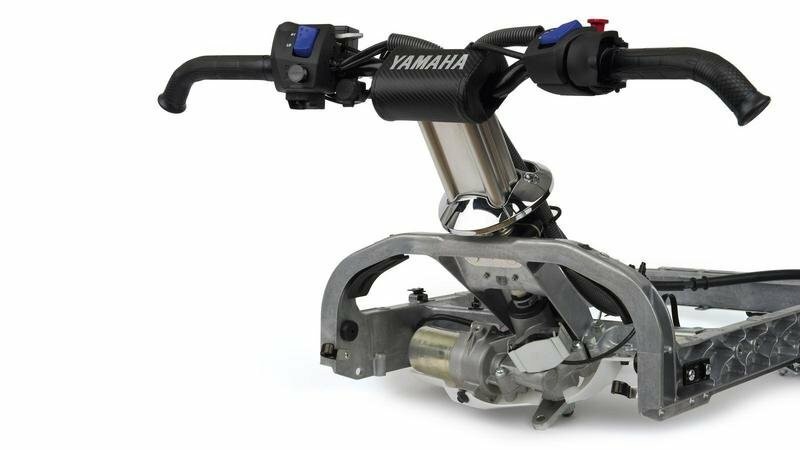 The bulkhead is made using Yamaha’s unique CF aluminum die-casting technology, while the steering gate section is pressure die-cast as a single unit. Hit the jump for more information on the 2013 Yamaha Apex SE. 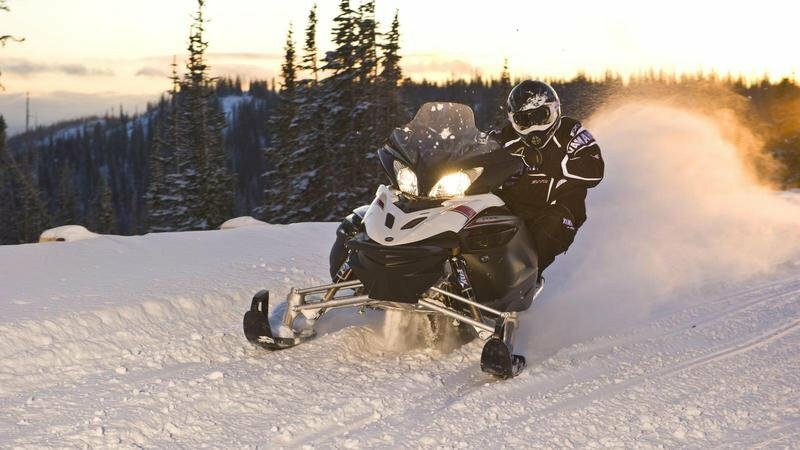 This is it – the trail snowmobile that leads the luxury class. 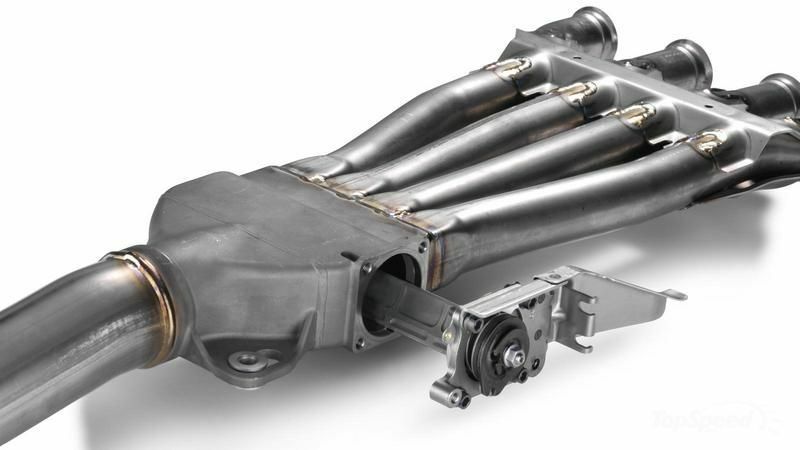 Full air suspension, EPS (Electric Power Steering) and smooth, quiet power from our exclusive 4-cylinder Genesis engine. The Genesis® 4-stroke Top Performance unit, with EXUP and fuel injection, delivers peak power across low and mid-speed ranges, so when you open the throttle, it delivers. 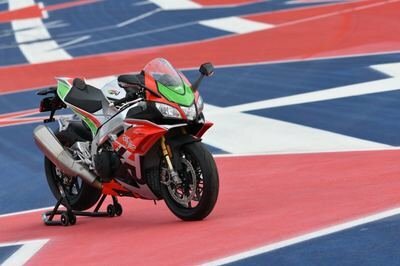 The track and front suspension – with Fox® FLOAT™ 2 air shocks – are teamed with a Fox® Mega FLOAT™ rear air shock to offer exceptional levels of stability and ride comfort. This is performance, luxury, comfort and handling you’ve never experienced before – so choose the Apex SE and your every snowmobiling wish is granted. EPS makes it easier to control the machine with accuracy and precision – making you an even better, more relaxed rider. Its computer-controlled actuator provides the optimum level of steering assistance, so the machine feels lighter and more stable during turns, with reduced ski lift. EPS also helps isolate the rider from handlebar kick-back. Yamaha’s unique EXUP (Exhaust Ultimate Power Valve) technology works at its very best with this legendary 4-stroke, 5-valve engine. Torque characteristics are improved in the low and mid-RPM ranges by controlling pressure waves when intake and exhaust valves are open together. The result? Even more powerful acceleration. 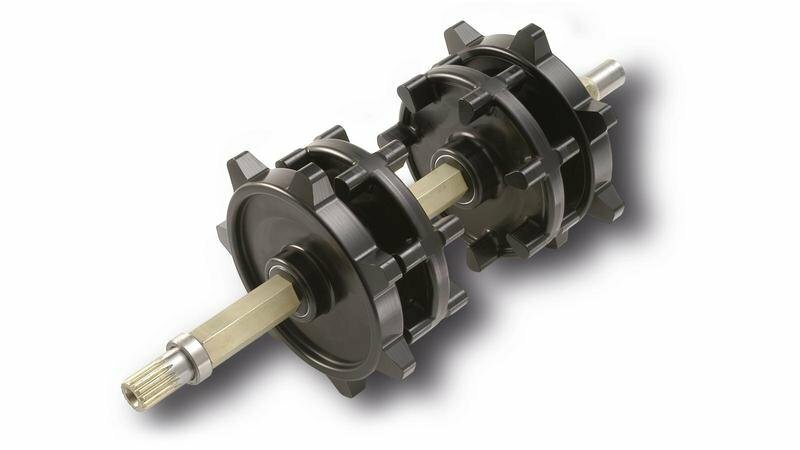 With Fox® FLOAT™ 2 shocks, an air spring forces the piston to rebound, saving significant weight by eliminating the need for traditional steel coil springs. Individual set-up preferences can be adjusted and fine-tuned to suit the rider, even when conditions change out on a trip, using the pocket-sized air pump supplied. 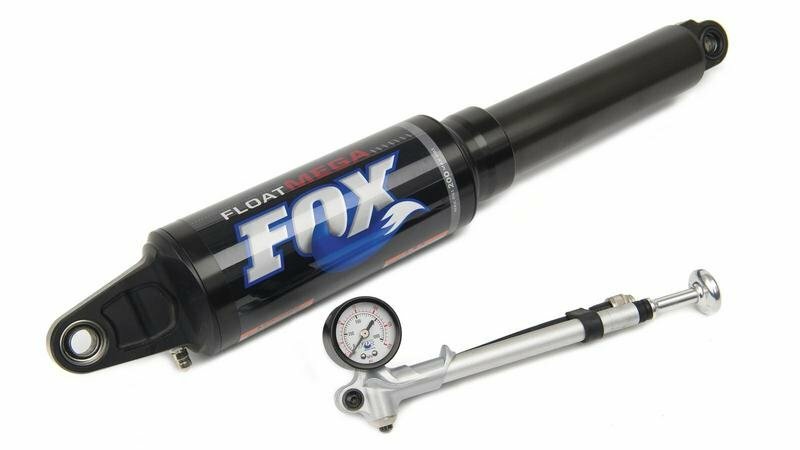 The mono shock rear suspension features a Fox® Mega FLOAT™ air shock. Because it uses more than twice the volume of compressed air than the front shocks, the result is an extremely comfortable ride, even on rougher surfaces. Compressed air also brings the benefits of softer cushioning for smaller bumps and strong cushioning for larger loads. 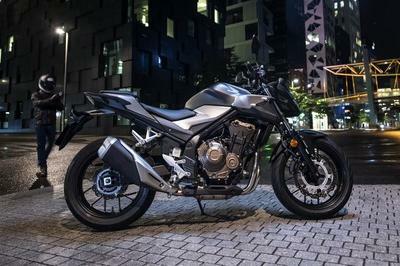 The lightweight frame is constructed from varying types of aluminium, to achieve an excellent balance of rigidity – the bulkhead is made using Yamaha’s unique CF aluminium die-casting technology, while the steering gate section is pressure die-cast as a single unit. 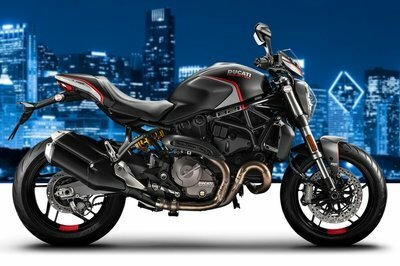 The rear frame accommodates a shortened muffler and helps to centralise mass. The skid is wrapped in a 128"/3251mm Camoplast® Ripsaw™ track with a re-shaped profile. This large-size track transfers power from the engine to the snow surface with great efficiency and grip. The result is outstanding acceleration in any speed range. To gain maximum benefit from the unique Electric Power Steering (EPS) system, the Apex SE is equipped with specially designed skis that reduce resistance and make the steering lighter. 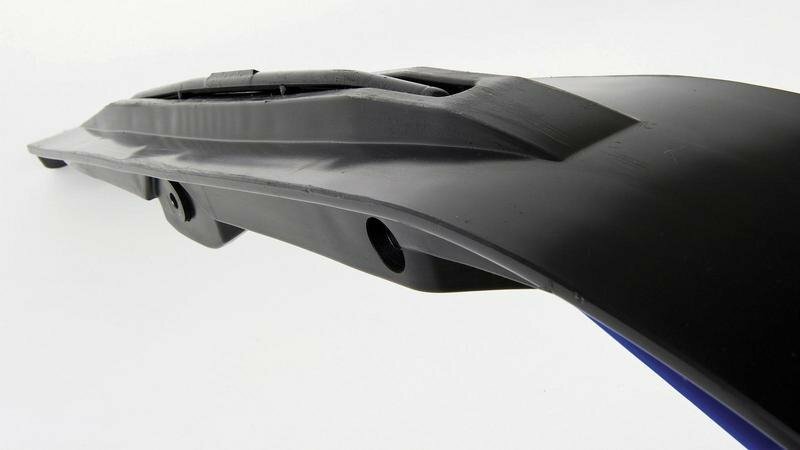 Runners are also built into the keels, for sharper cornering performance – and the ski pivot point has been moved forward by 15mm to reduce ski lift. 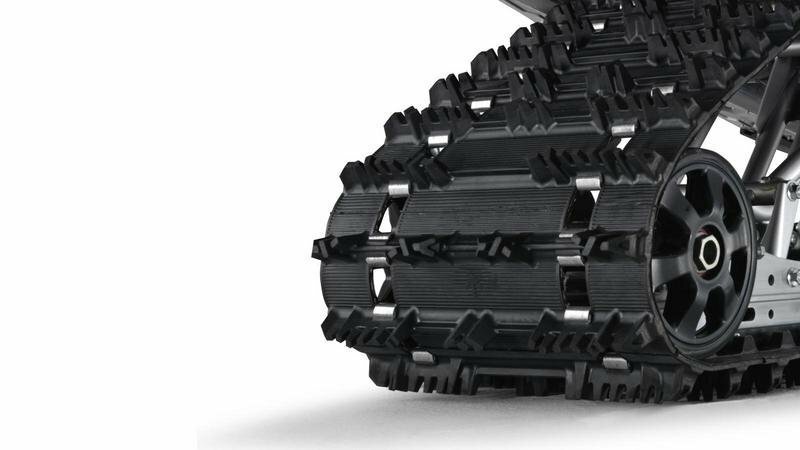 The modified drive wheel is combined with a longer track to deliver exceptional traction. To take advantage of the improved torque characteristics of the Genesis® engine, the extrovert drive has lugs on the sprocket wheel which act like a gear mechanism, meshing precisely with holes in the track, for positive grip and propulsion in all conditions. 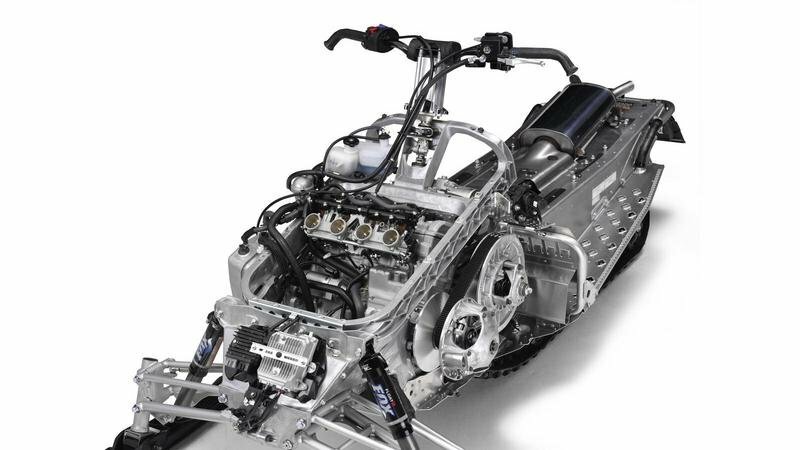 Snowmobile ---- "We’d say that Yamaha Apex snowmobiles were misunderstood except that they aren’t. They simply appeal to a more discerning crowd, one that places a premium on the experience of snowmobiling and the quality of the ride."